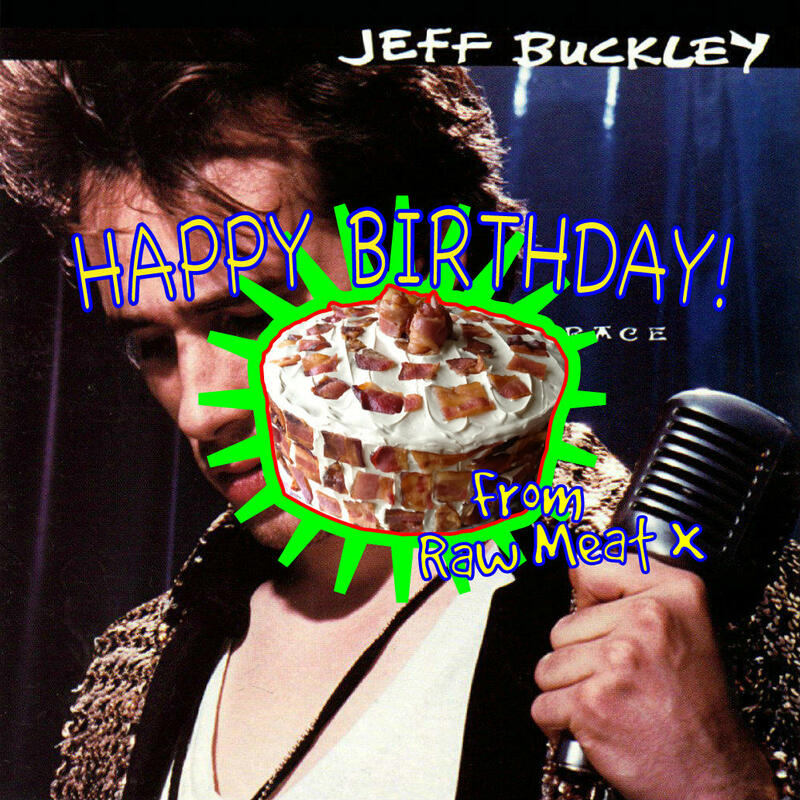 Jeff Buckley - Grace 20th Birthday! Here at Raw Meat we like to celebrate an important records' birthday by reviewing it as though we've never heard it before. Uncertainty is never a good thing with an album. An artist usually produces their best work when things are polished, when the feeling of uncertainty has diminished. Listening to Jeff Buckley’s debut album Grace seems, on the contrary, that it is this feeling he revels in. Although the track listing may seem slightly odd, with an almost overindulgent number of covers it is testament to the artist’s ability to breathe new life into these songs that they appear entirely new. One said cover is James Shelton’s ‘Lilac Wine’. The simplistic arrangement of the song allows for the sole focus to be on his trembling vocals. A soulful ballad with tinges of melancholy, ‘Lilac Wine’ contains fairly simple lyrics, relying on repetition. This works in the song’s favour though, the lack of complexity helps create a track full of emotion as it results in a lament on a recent relationship that has drifted apart. Another excellent cover is his beautiful rendition of the carol ‘Corpus Christi Carol’ which highlights his impressive three and a half to four octaves range with the introduction sang in falsetto. Throughout the song he seamlessly switches octaves and although the song choice is rather unusual it still sits well with the rest of the album. This choice of song shows Buckley’s fearless nature, and complete disregard for traditional genres. This fearlessness is on show again with his third and final cover, a rendition of the Leonard Cohen classic ‘Hallelujah’. Although he lacks the desperate and battered sound that Cohen possesses, Buckley does have something else on his side: youth. It is with this youth he brings a sense of haunting romanticism to the words. With an evocative tone you feel his pain and it is this pain that compels you as the listener. Buckley truly comes into his own when playing his own songs, though. Stunning opening track ‘Mojo Pin’ begins with a string of high notes, where it then builds from these serene beginnings into a devastating ballad of unwanted love. The title track ‘Grace’ is another highlight of the album. Poetic lyrics are sung over a rolling landscape of guitar riffs creating a song filled to the brim with rock appeal. The ultimate track of the album has to be the truly brilliant ‘Lover, You Should’ve Come Over’. An amalgamation of everything that makes this album so good, the listener is treated to layers of organ, a choir and the most seductive of chord progressions wrapped together in a voice that is at its technical best. Parts of the album excel to such a high level that it could be considered somewhat boastful. It is the nonchalant way these skills are exhibited that stops it from becoming so. A debut album should help introduce an artist to the world and with an album as diverse as Grace I’d say Jeff Buckley has made a loud, and un-rivalled introduction.